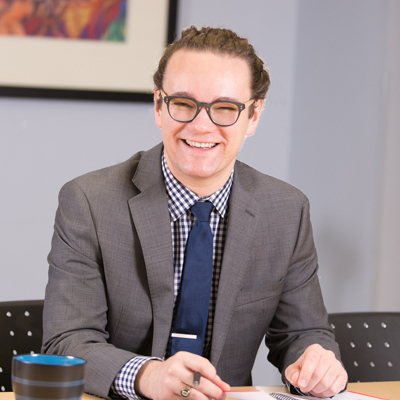 Eric joined CJC in 2014 doing policy research and maintaining the Workforce Information and Resource Exchange (WIRE). Currently, he convenes the Transit Table, leading CJC’s efforts to eliminate transportation barriers to employment. Eric also contributes to social media, maintains our website, and writes emails he hopes will keep you informed about the field. Eric has a background in political science, and has worked as an organizer, door-to-door salesperson, journalist, and bartender. All of these have helped prepare him for the constantly changing nature of advocacy work, and the broad types of communication required to effectively promote policy change. Growing up, Eric’s parents Nancy and Kelly gave him their unwavering support in all his efforts, something that reminds him every day to fight for everyone to have the support and opportunity to realize their potential. Ask Eric about Kesha, artificial intelligence, meditation, or his latest baking endeavor.